A century ago, power on farms was provided by five million heavy horses. They were the pride of rural Britain and the men who worked with them were the elite among farm workers. But today heavy horses are almost a thing of the past. They might be seen in all their glory at agricultural shows decked in glistening harnesses and paraded around the main ring but generally they are a distant memory. Except for in one place: Sillywrae Farm in Northumberland - the last farm in Britain to be worked by horses. 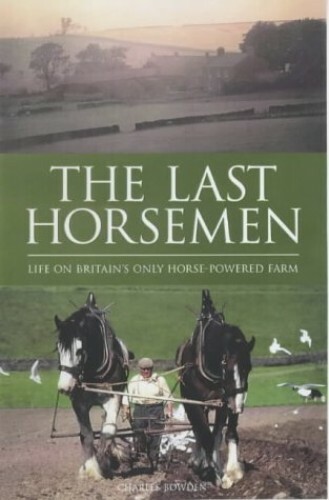 The Last Horsemen is the inspiring story of John Dodd and his family who have lived on Sillywrae for more than 150 years and for all that time, horses have been the source of power. Telling the inspirational story of a year in the life of John Dodd, his family and the farm, this book compellingly evokes the beauty of the countryside. Lambs playing in the sunshine are a highlight of Spiring time. July and August are the busiest months of the year at Sillywrae - it's hay making time - while the Harvest and woodland work forms the focus for the farm during the Autumn and Winter brings hoar frost to the fields and ploughing lea. With a farming industry that seems to lurch from crisis to crisis, learning from people who have chosen an alternative way of life becomes ever more important. Wholly evocative. The Last Horsemen is a truly inspirational opportunity to view first hand, scenes rarely played out in Britain's countryside in the twenty-first century.